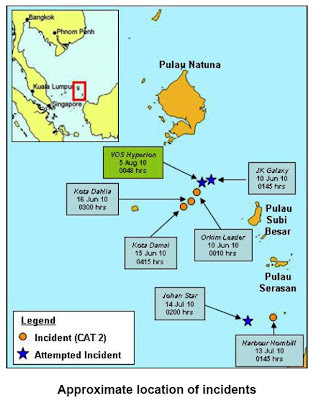 Info from ReCAAP about an increase in pirate attacks off Palau Mandkai in the South China Sea - six attacks in recent days. 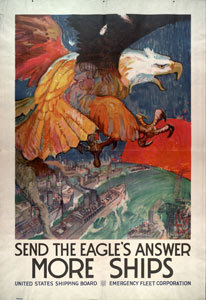 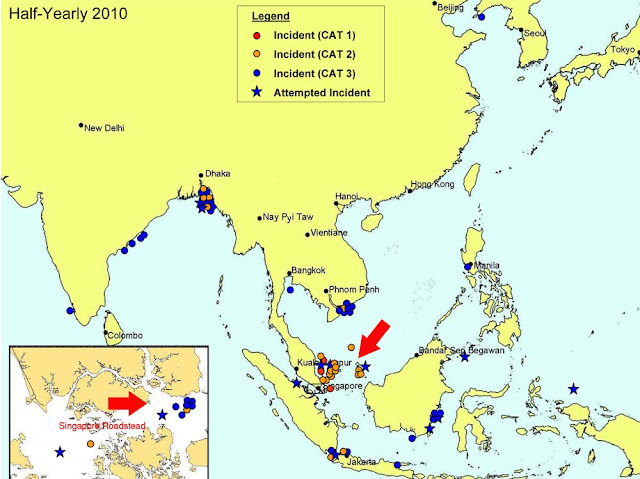 On the 16 and 17 of August, three ships were attacked. 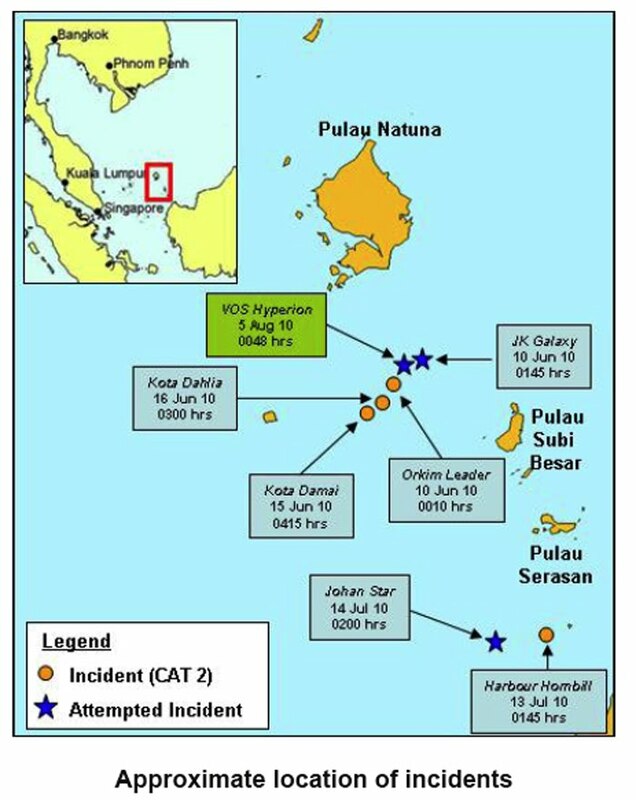 Couple this with another report of seven incidents since June 2010 in the area off Palau Subi Besar and the southern part of the South China Sea is becoming a piracy hot spot. Most of these incidents are armed robbery or attempted robbery. The pirates are described as being armed with "long knives" and /or guns. 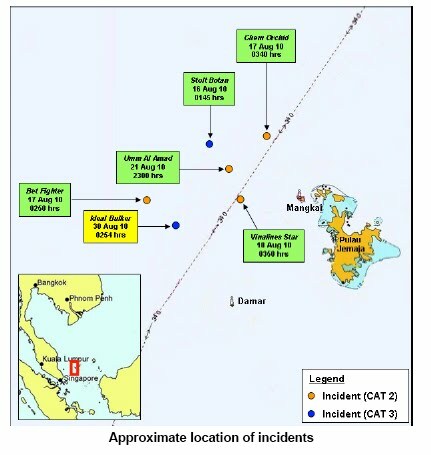 A mid-year review by ReCAAP shows the piracy hot spots have shifted from the Malacca Strait to the areas noted above (red arrow in larger map) and to the Singapore roadstead (red arrow in inset).